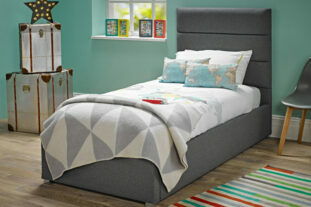 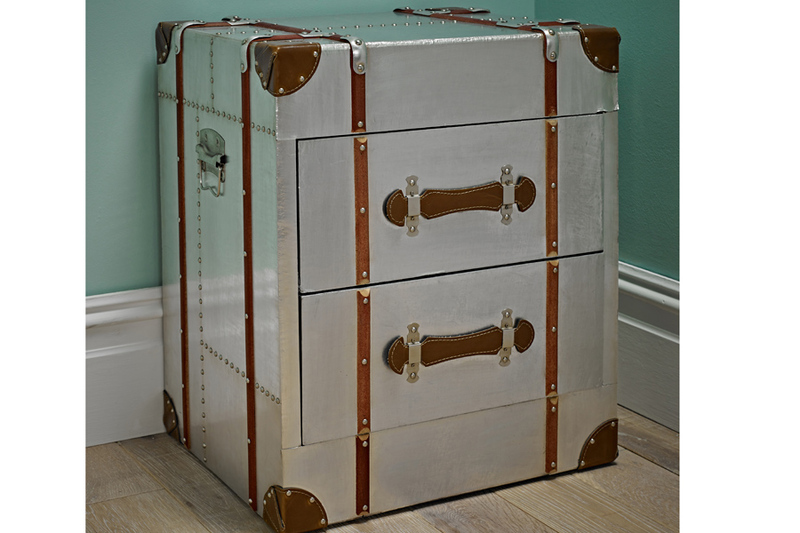 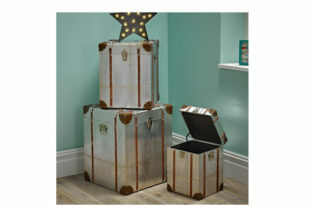 The dazzling Jules 2 Drawer Bedside is a wonderful contemporary spin on a classic travel chest. 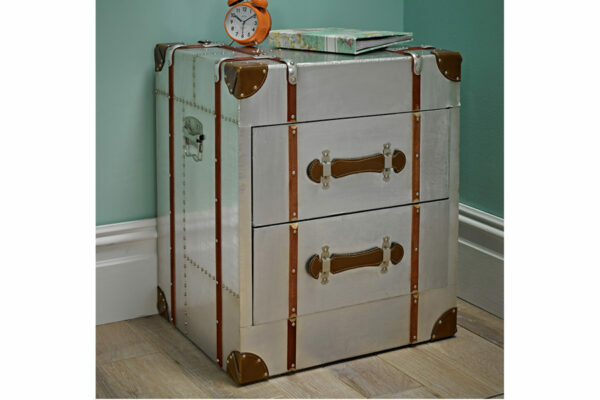 Made from wood and aluminium the bedside features stunning faux leather trim and corners, along with intricate studded detailing to add a lucious sense of style. It offers plenty of storage space to keep the all important books, toys and prized possessions close to hand and a great place to position a bedside light, it really is the ideal practical and attractive bedside solution.